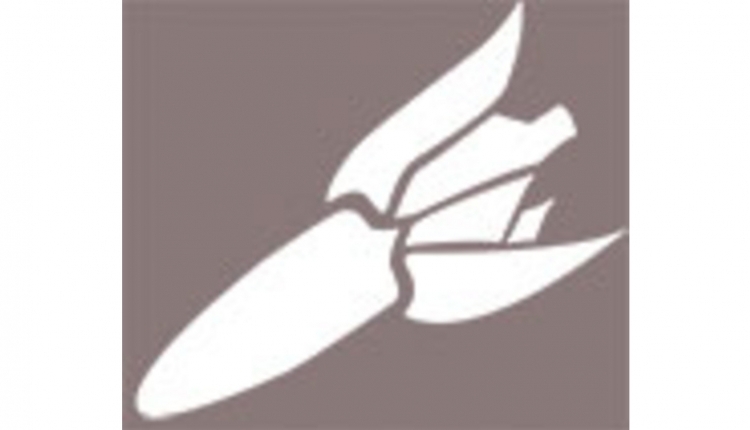 On occasion, growers ask for advice on forage seed mixtures. 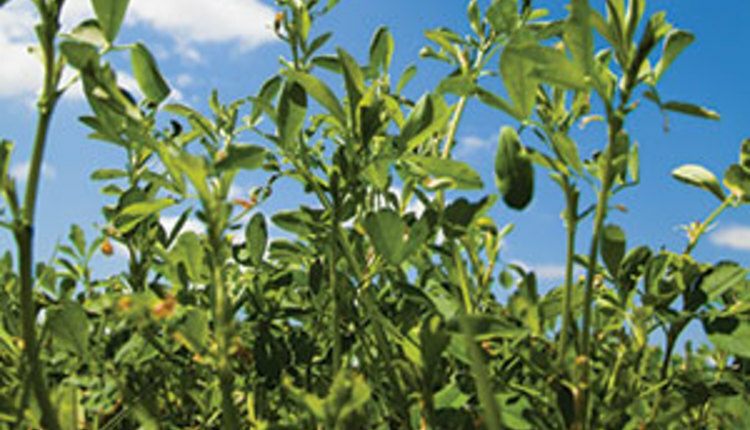 When growers are considering new alfalfa seedings, their questions focus on what other legume or grass species to add with alfalfa, and how many pounds of each species to mix together. 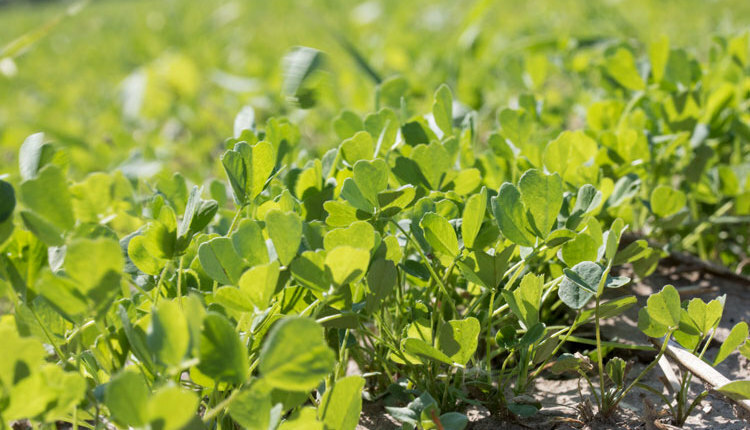 Frequently, growers looking to mix other legumes or grasses to alfalfa are trying to provide a modest amount of “crop insurance” in wet or low pH areas of the field. Both red clover and birdsfoot trefoil will tolerate wet, low pH soil conditions better than alfalfa. When seeding pastures, the number of grass and legume species and their mix ratio is less important. Research has shown that mixtures of up to 10 varieties and species will perform better than any single species, or even a single legume plus grass mixture. Over the grazing season, the conditions that don’t favor one species are likely to be good for others. Planting multiple species also accounts for animal preferences for the various pasture plants, and these preferences can vary as the plants mature. White clover, for instance, retains forage quality much better than most of the grasses used in pastures, but it isn’t recommended as a clear seeding. A number of seed companies sell pasture mixes that are convenient to use, and they usually will perform at least as well as a “do-it-yourself” mixture. When seeding fields for mechanical harvest (hay or silage), soil type, drainage, and pH will influence the choice of legume/legume or legume/grass mixtures used. 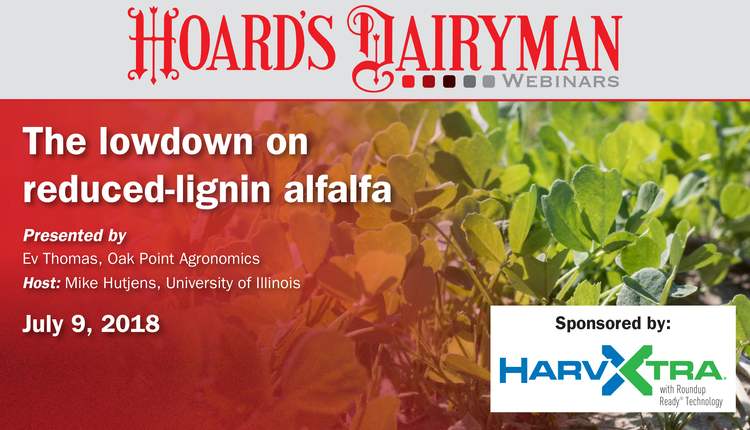 On fields well-suited for alfalfa, a pure stand of alfalfa will yield better and last longer than a mix of alfalfa with either red clover or birdsfoot trefoil. Red clover is a high-quality legume with better tolerance of low soil pH and wet fields compared to alfalfa, but stand life is shorter. 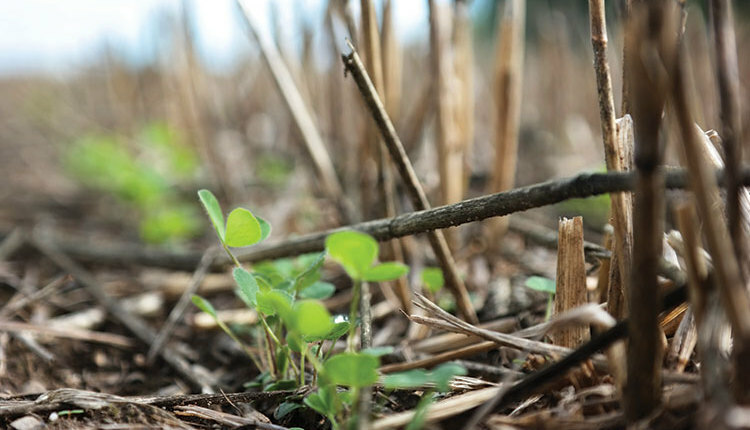 Red clover seedlings can be aggressive and outcompete alfalfa plants during establishment. 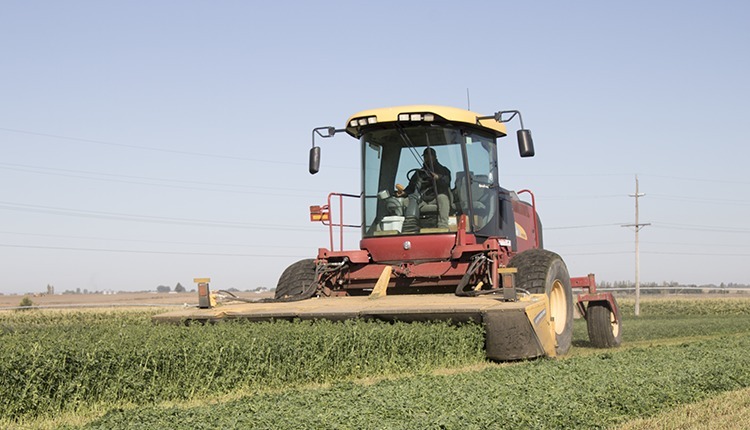 Birdsfoot trefoil, on the other hand, is a long-lived, high-quality legume when managed properly, but the intensive alfalfa harvest management used on today’s progressive dairy farms often proves to be too much for the trefoil. Over the years, birdsfoot trefoil has declined in popularity as a hay and silage crop but still has good use as a pasture species. Alfalfa-grass mixtures are much more common than mixes of alfalfa with another legume species, but the popularity of alfalfa-grass is highly regional. 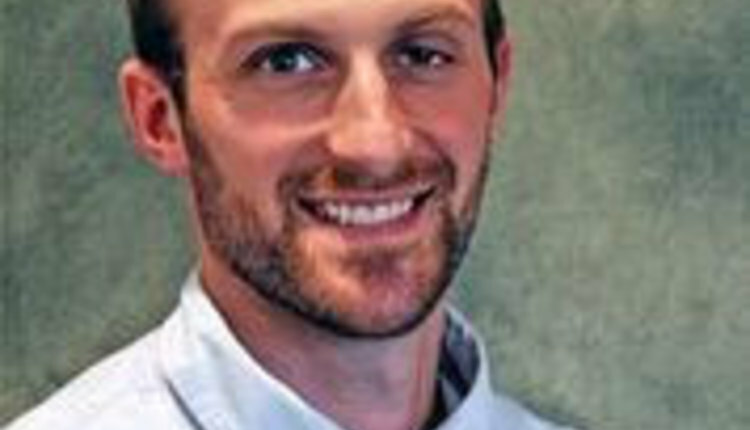 Surveys indicate that as many as 80 percent of the alfalfa acres in northeastern U.S. and eastern Canada are planted in a mixture with grass. 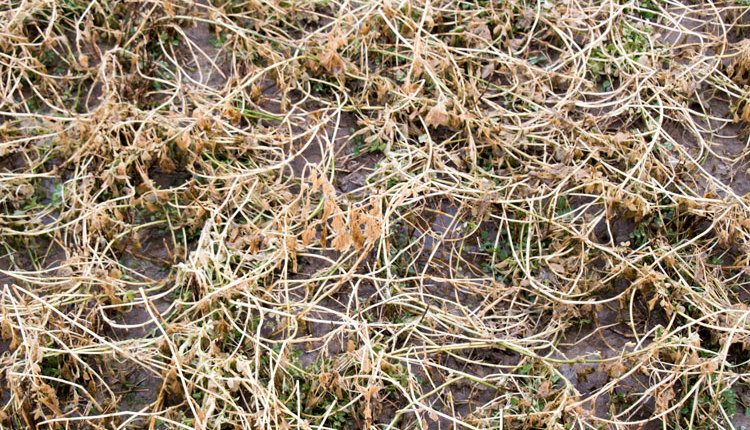 In the other regions of the U.S., about 90 percent of alfalfa acres are clear-seeded — which means they include no grass or other species. Most grasses seeded with alfalfa are “cool-season” species including timothy, orchardgrass, perennial ryegrass, and fescues that are not well-adapted to hot, dry climates. 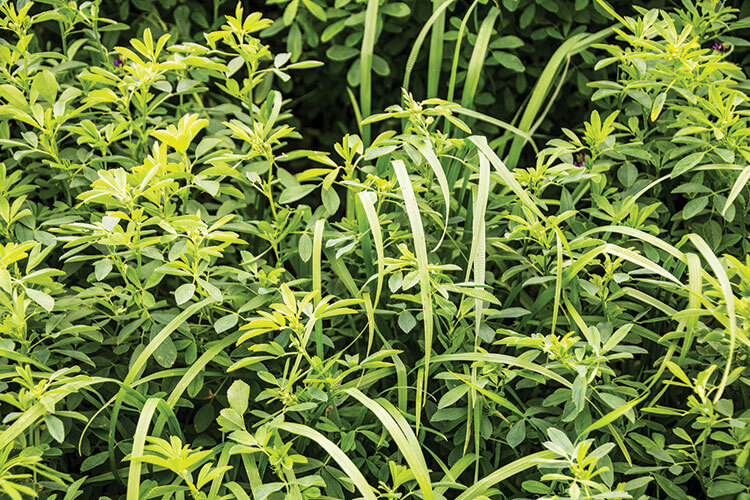 One alfalfa-grass mixture that has found popularity in cool-season regions is a mixture of alfalfa with Italian ryegrass. Italian ryegrass is a winter biennial requiring vernalization (exposure to cold temperatures) to initiate flowering. When seeded in the spring with alfalfa, it doesn’t form a stem or go to seed in the same year. Italian ryegrass will germinate quickly and recover rapidly after cutting, which is why it is sometimes used to aid in annual weed suppression where herbicide application isn’t practical or is limited by an organic production system. Aggressive harvest management often results in very little Italian ryegrass surviving the winter. 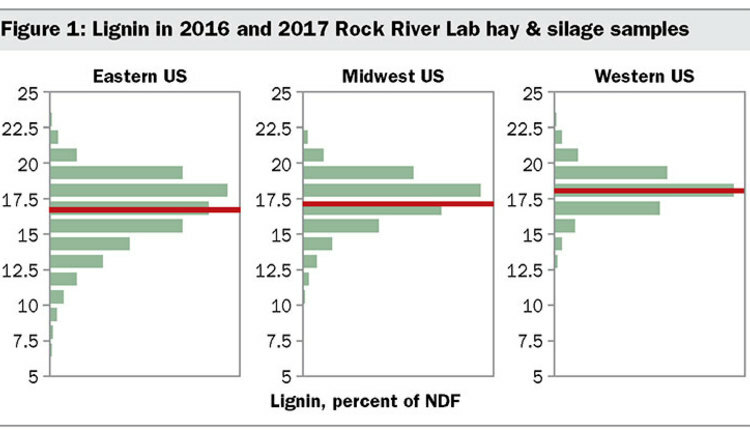 Ideally, growers don’t want the Italian ryegrass to survive winter since it will head out the next spring before alfalfa is ready to harvest. To avoid this, growers should select Italian ryegrass varieties that have low winter survival rates. 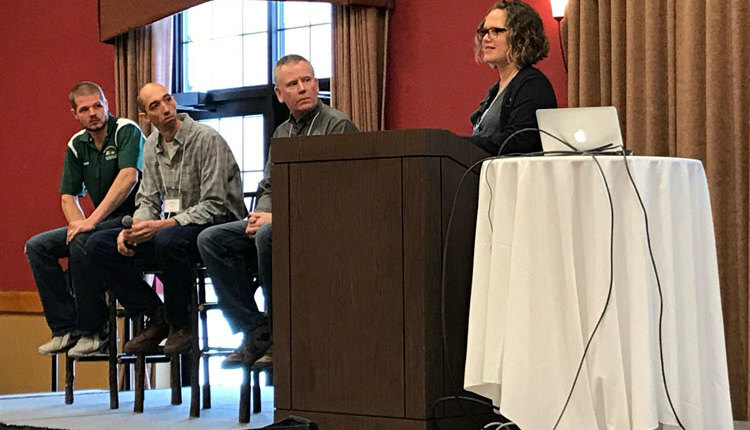 To prevent excessive competition with alfalfa, the University of Wisconsin recommends that growers plant Italian ryegrass at seeding rates of 2 to 4 pounds per acre along with 15 to 18 pounds per acre of alfalfa. Alfalfa and grasses can work together to produce high-quality forages for the farm while also helping maintain longer stand life. This is especially true in fields and areas most prone to early stand decline.